The strong men gittin’ stronger. Strong men. . . . When Labor Day approaches, I often reflect upon what I call the Obsidian Generations of black male workers. Steeled by faith and undefeated by volcanic anti-black racism, they were rock-solid, strong men who kept coming. From the end of the Civil War to the middle of the modern civil rights movement, they moved from the farms to the factory, down south to up north. They did an honest day’s work for an honest day’s pay. They knew how to laugh on Saturday night and pray on Sunday morning. They knew how to hold and calm a crying baby. They knew how to hold their liquor. They were the do-right men that Aretha Franklin yearned for and the upright men that she lamented losing in her songs. Many of those men are gone now. But in 1995, a million black men marched in their footsteps. Today, millions more stand on the Obsidian Generations’ broad shoulders. Those men married women who cleaned other women’s houses and then their own. They reared other families’ children and their own. They helped other families pursue the American Dream without deferring their own. Sometimes those powerful black women stood shoulder to shoulder with their men in the fields. Later, other black women joined their men in the factories. The male members of the Obsidian Generation — the OGs, if you will — have had many names, Daddy to Deacon. But in the world of sports, those male OGs, at least during my childhood, were best represented by two names: Hank Aaron. He was a strong man who kept coming. During his 23-year career, primarily for the Braves in Milwaukee and Atlanta, the Hall of Fame outfielder was an avatar of consistency. Aaron hit 20 home runs or more for a major league record 20 consecutive seasons. The Mobile, Alabama, native used his strong wrists to rip home runs, just as others used their strong wrists to wring the necks of chickens or cut sheet metal just so. Indeed, when Aaron retired, he’d hit more home runs (755) and had driven in more runs (2,297) than anyone in Major League Baseball history. Barry Bonds later broke Aaron’s career home run record with 762, but Aaron continues to hold the RBI record. 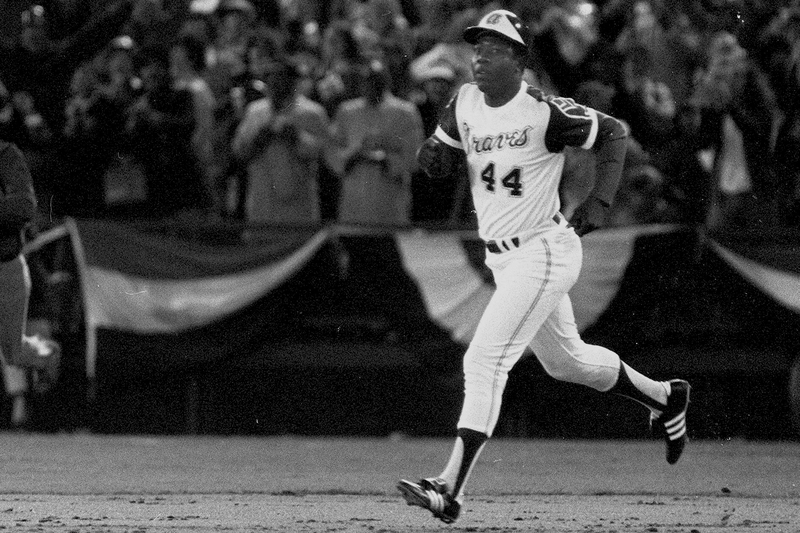 On Labor Day in 1976, Aaron was rounding the bases and heading for home at the end of his career. Observers hailed him as a strong man who kept coming even in the face of death threats as he surpassed Babe Ruth’s 714 home runs, a major league record many didn’t want broken, especially by a black man. Now 82, Aaron stands as a living monument to black strength and endurance. This Labor Day, take a moment to tip your cap to him and the Obsidian Generation he exemplified.